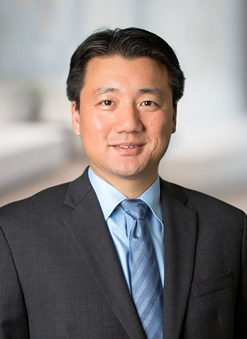 Glen Liu is a partner in One LLP’s Newport Beach office. Glen is an accomplished Intellectual Property attorney with extensive experience in complex patent litigation and prosecution, IP licensing, copyright, trademark and trade secret misappropriation litigation. Glen has handled numerous high-stakes IP litigation matters involving a wide range of technologies before United States federal district courts, state courts, and within the context of International Trade Commission Section 337 Investigations. Glen has also significant experience in the area of damages and intellectual property remedies, as well as matters involving Standard Essential Patents (SEPs), Standard Setting Bodies (SSBs, SSOs), and F/RAND issues. MobileIron, Inc. Glen was trial counsel in a complex five-patent infringement suit filed by a competitor in the Northern District of California involving enterprise mobility management software. Glen handled MobileIron’s invalidity and non-infringement defenses, and damages theories. Glen authored several successful summary judgment and Daubert motions and examined witnesses at trial. The jury trial concluded in a complete defense verdict for the client. Acer, Nanya, and Powerchip Semiconductor. Glen was a member of a trial team that successfully defended Taiwanese semiconductor companies in an ITC Section 337 Investigation involving patents directed to semiconductor packaging. The trial resulted in a finding of no violation for clients. Canon. Glen represented Canon in a patent litigation brought by a patent assertion entity in the Southern District of California relating to patents directed to image processing technology. Glen authored a summary judgment motion on Canon’s patent exhaustion defense that was granted and resulted in a complete disposal of the case. Apple, Inc. Glen was a member of a trial team representing Apple in an ITC Section 337 investigation involving patents directed to graphics chip technology. Glen was primarily responsible for developing the client’s patent exhaustion defense. The trial concluded in a finding of no violation for Apple. MGA Entertainment. Glen was a member of a trial team in a high-profile litigation in the Central District of California involving trade secret misappropriation counterclaims against a major competitor. Glen was primarily responsible for developing complex damages theories and preparing expert witnesses for trial. The jury trial resulted in a $300+ million dollar judgment in favor of the client. Prior to joining One LLP, Glen was a Senior Associate at Orrick, Herrington & Sutcliffe LLP. Before beginning his legal career, Glen was an information security specialist at IBM Global Services, where he advised large institutions in the health care and banking industries regarding information security and regulatory compliance. He founded his own Information Security consulting firm, providing security assessments and audits to Fortune 500 companies. Robert Isackson, Patricia Thayer and Glen Liu, “Why KSR Has Not Changed the Game in Life Sciences,” Managing Intellectual Property, IP Focus: Life Sciences (October 1, 2009).